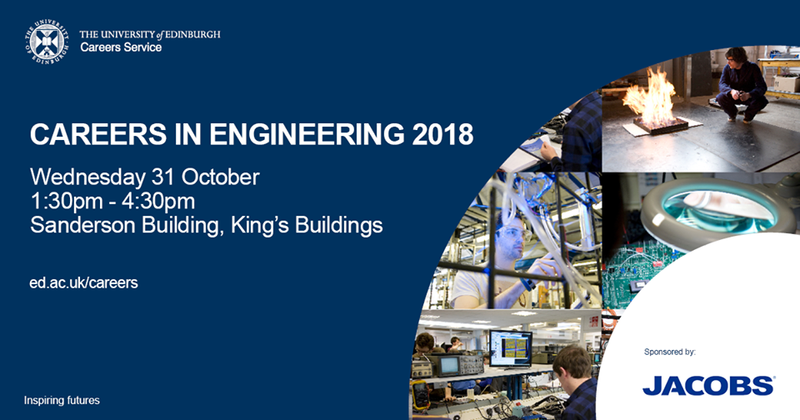 It doesn’t matter what stage you are at in planning your career- this event is open to all students considering a role in the engineering sector. "Invaluable information and generally just a good opportunity to talk to employers"
A full list of employers can be found below, as well as on the MyCareerHub event page and in the 2018 Fair Guide which will be linked below closer to the event. What additional talks will be on? The Careers Service aims to be accessible to all users. If you have any specific needs please contact us on careers@ed.ac.uk or 0131 650 4670 to make appropriate arrangements. Use our resources to get ahead with your applications and career planning. This event has been kindly sponsored by Jacobs.